Adventure Island opened on March 9th for the new season, sadly, my expectations of finding some new fun weren’t met. Well, the high of 74 degrees really didn’t help. Additionally, the park has continued to look and stay the same since around 2006. I was hoping for a bit more than the old favorites to kick off the new season. 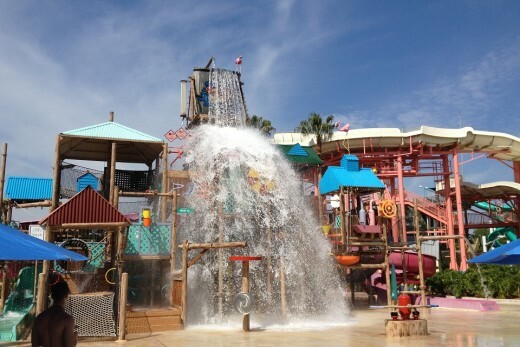 Located across the street from Busch Gardens Tampa, Adventure Island has been open since 1980. 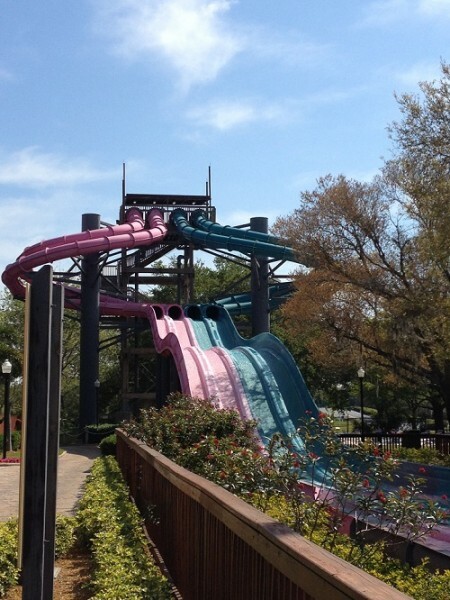 It boasts 10 slides, a wave pool, multiple cliff jumps, and 3 children’s areas. As a Tampa local, it is also known to be a great place to spend the day during the ridiculously warm Florida summers. I went in on Saturday not expecting much, as I go all the time and know my way around the park. From what I could tell, half of the parking lot had a new coat of tar, a few of the slides had some new paint, and new mulch was around the park… but that was it for the new. I was hoping for some new paint schemes, better beach chairs, heck, even a new ODV cart…but I got nothing. For a park that caters to locals and out-of-towners the same way Disneyland does, I expected more. The last new ride on property was Riptide, a fun body mat slide, which opened around 2006… that is 7 years ago. For a locally skewed park, that is really sad. Since it was opening day, though, a few local radio stations had booths… and even THEY looked bored. Recently, they added in cabanas for rent, which look very nice. They include a locker, 4 beach chairs, a ceiling fan (which is especially useful in July and August), and a mini fridge with water bottles. Personally though, I would skip it and just find a beach chair on the sand. The cabanas are a nice gesture, but for the price, the locations are all so bad that it isn’t worth it. One set of them are along the lazy river, which is not an enjoyable place to be, especially when a group of tweens are yelling and splashing around…not the best noise to hear when trying to rest. 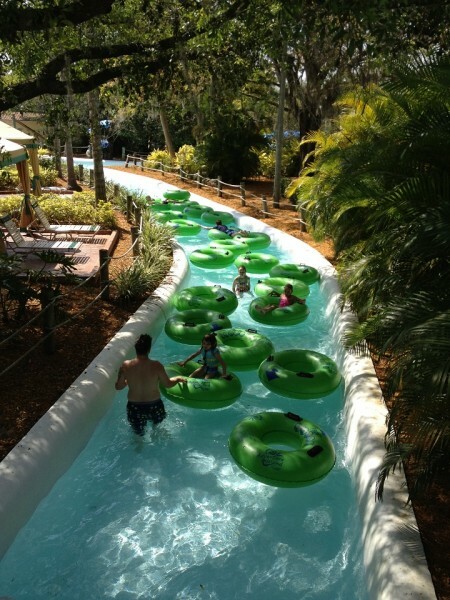 If you’re traveling to Florida, should you visit Adventure Island? Sure. If you’re staying in or around Tampa, but I wouldn’t make a special trip. The rides are fun, yes, but I only go to Adventure Island often because it is close. Busch Gardens is still a winner in my book (even as a local). Have you ever been to Adventure Island? What were your thoughts on the park? Did I sound really cynical in this article, or is it just me? Let me know the comments below. Until next time…stay dry!